Question One: What were you thinking? Last Saturday evening I was leaning on a railing enjoying the majestic view of the river and parliament buildings from Ottawa’s beautiful Major Hill Park. 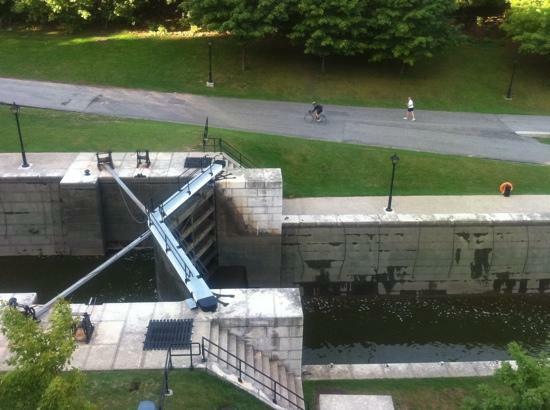 Then, far below, a young man had missed the Frisbee thrown by a friend and they were staring forlornly into Rideau Canal’s shallow, stagnant water fifty feet down. The taller, skinnier one was suddenly climbing down the lead used by boats in the summer. A small crowd gathered at my railing. We were too far away to intervene but some giggled, some shook their heads, and, like me, others held their breaths. At the bottom of the cable, the young man found himself six feet or so from his little yellow toy. He clamoured back up. Soon he had descended again, had a leg linked over the bottom of the cable, and was precariously dangling upside down. He’d gone Cirque du Soleil on us. His friend then dropped a long stick that he miraculously caught. He used it to snag the Frisbee and then sailed it back to the top. Clearly exhausted, he slowly climbed out with his legs visibly shaking. Our little crowd dispersed as our two heroes commenced a spirited victory dance. Why did he do what could have led to a serious injury or death? It was his brain’s fault. 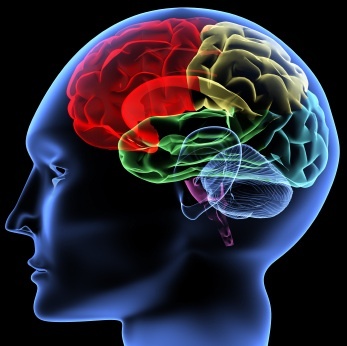 You see, the last part of our brains to become fully functional is the pre-frontal cortex. It is just behind the forehead. It is the area responsible for being responsible. It links cause and effect. The incomplete wiring renders teenagers not unwilling but unable to fully comprehend situations that adults would consider socially awkward or inherently dangerous. As a result, teenagers often embarrass or infuriate adults or take what an adult would consider crazy risks like, for instance, climbing into a deep, concrete canal. The nucleus accumbens is another part of the story. That is near the back of our brain and is the first to develop. In teenagers, the impulses flowing through that wiring work overtime. It is the pleasure seeking, reward loving part of the brain. It is the part that inspires action not because it would be right or safe but only because it would be fun. With no frontal cortex to warn of risks, the teenagers are off to the party, into the fast car, skipping away from class, or, like last Saturday, lowering themselves down canal walls. Question Two: What do you want to be? This question is dumb for three reasons. First, it implies that the teenager is nothing now. That’s insulting. Second, the question is probing for a profession. The problem is that most teenagers don’t know and so will just proffer an answer likely to please. Why encourage lying? Further, according to Forbes magazine, teenagers today will have 15 to 20 jobs in their working lives. So why ask the question left over from the days of gold watches? Plus, one or more of those occupations will likely involve a job that does not now exist. So how can a teenager know what their job or jobs will be? Most important of all, though, is that the question perpetuates the sad habit of defining oneself by a job. It’s the game show mentality of defining questions: what’s your name, where are you from, what do you do? It’s what crushes the souls of the un- and underemployed, led to baby boomer suicides after the 2008 crash, and makes retirement difficult for far too many. What am I if I am not the teacher, lawyer, or whatever? If a person is more than their race, gender, sexual orientation, class, ethnicity, ability, and body shape, then are they not also more than their job? So if an adult asks a teenager what they want to be, a good answer would be this: “I hope to be an engaged citizen, a person of good character, a responsible parent, and a person who loves and is loved.” In fact, that would be a good answer for even those of us with fully wired brains. For now, let’s avoid both questions. Instead, let’s enjoy our non-whistling dogs and the teenagers who are doing the best they can. If you enjoyed this column, please share it with others using your social media of choice. Thanks for comment. I recall the “daring years” with equal measures of horror and delight. And my young friends at the canal will have a story for the rest of their lives that now make them proud and will later make them shudder. I am going to have my Trent teacher candidates read these. They are wonderful. I hope they enjoy it David. I wish I knew these things when I was starting my career.